Surface TypecoverMicrosoft Corp. has announced that Microsoft Surface RT with Windows RT is now available for purchase in 13 additional countries, including Ireland. Essentially, Surface RT is a tablet with some laptop capabilities. It comes with a handy kickstand and an optional keyboard designed to be the ultimate stage for Windows RT, a new Windows-based operating system that's optimized for thin and light PCs as well as tablets that have extended battery life. 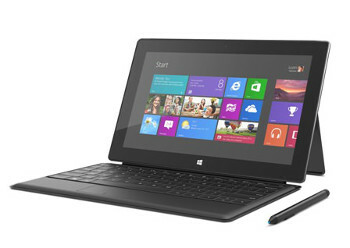 It contains many of the same features as Windows 8, but is a new operating system. The downside is that with Windows RT, you can install apps directly from the Windows Store, but, and here’s the problem, you can't install desktop programs that you used with previous versions of Windows. In other words, it can’t run older versions of Windows. However Surface RT has some interesting quirky gimmicks like a spill resistant cover (available in different colours) which you can transform into a keyboard It’s incredibly thin, yet Microsoft have still managed to include a full-size USB port, microSD card slot, and HD video out port. In Ireland, selected PC World and Curry’s stores which are part of the Dixons Retail Group will be the first retailers to offer Surface RT to customers. It will also be available online through www.pcworld.ie. Details on when customers can both order online and experience Surface RT in store will be made available shortly. Surface Typecover“The response to Surface has been hugely exciting to see. The phased rollout of Surface RT into new markets marks a pivotal moment for our customers who can now access and purchase Surface devices in more places than ever before,” added Patrick Ward, Windows Business Manager, Microsoft. The Surface family of PCs is being marketed by Microsoft as an extension of the Windows experience. It boasts an ultra-light durable casing and an integrated kickstand and covers as well as a 16:9 inch widescreen high-definition display. 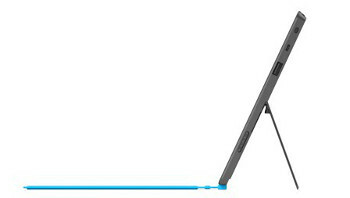 Additional details on Surface are available at http://www.Surface.com.